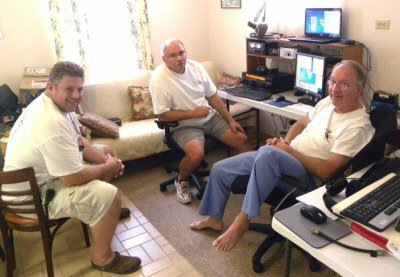 Craig VP9NNL visits Jamie WW3S and Ray ND8L prior to 2012 CQ WW RTTY Contest. © 1997-2019 Ed Kelly. All rights reserved.